Cruz Del Sur Music is proud to announce the signing of Canadian epic metal forceGATEKEEPER. 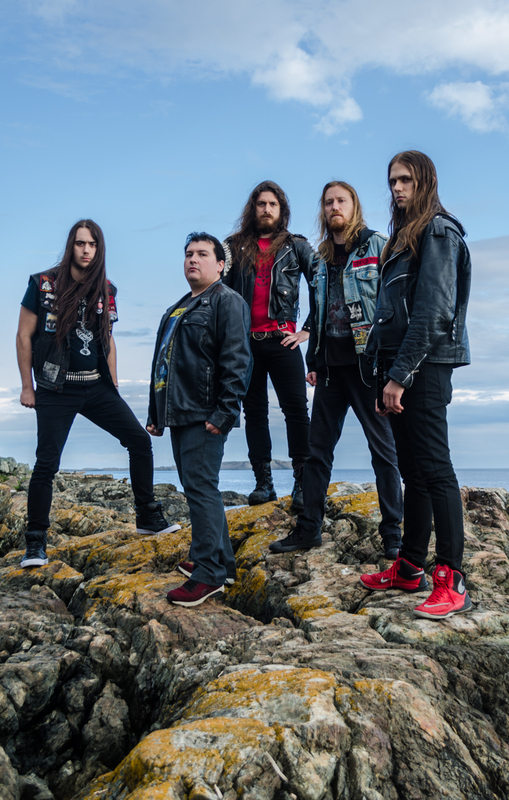 The band’s first full-length, “East Of Sun”, will be released this April worldwide on compact disc (including 2 bonus songs), vinyl and digital. 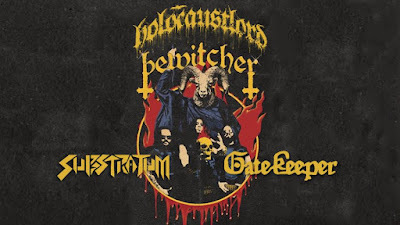 Originally formed in 2009 as a solo project by guitarist Geoff Blackwell, GATEKEEPERhas assembled an impressive array of EPs and splits, including an appearance on Metal Blade’s “Metal Massacre XIV” where they contributed the song “Bell Of Tarantia”. Their signing to Cruz Del Sur will mark a new, exciting era for the band. The “East Of Sun” title is a shortened version of a book of Scandinavian folk tales that parallels the content on the record where each song stands on its own. The album’s cover art was created by Duncan Storr, who has previously worked with SKYCLAD, RAGE and Cruz Del Sur’s own DARK FOREST. Greetings again! It hasn't been long since our last post but we wanted to get this out while it's hot and fresh. 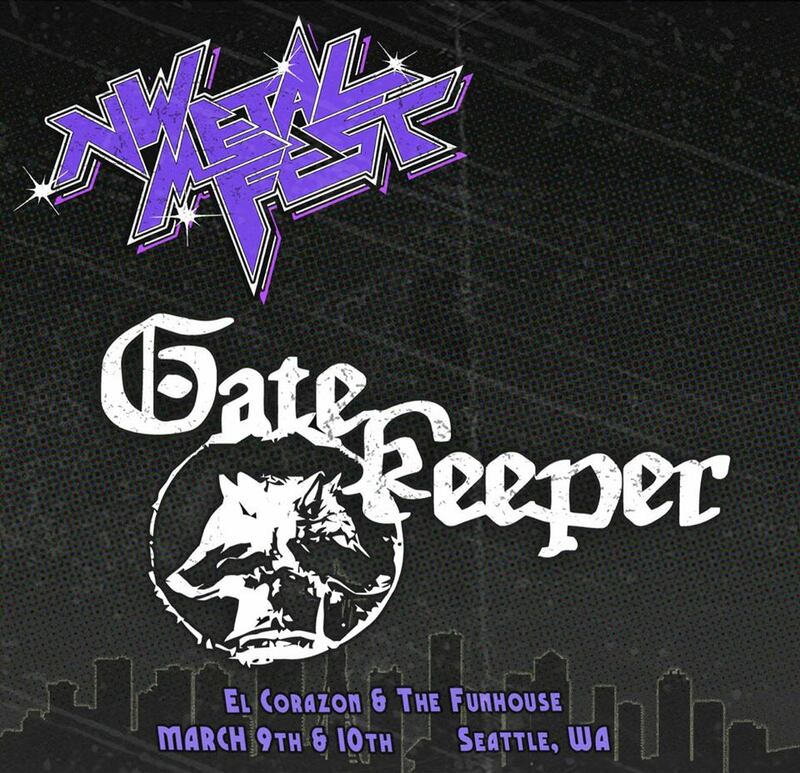 Our good friends in the pacific northwest have resurrected the classic "Northwest Metalfest" name and we are the first band to be announced. This will be almost exactly two years since our last Seattle appearance and we are beyond excited to return south of the wall. We are not in a position to spill any beans regarding the rest of the lineup but we are assure you that fans of the olde-schoole will be tickled by the bands that the fest has lined up for you. "Originally founded by concert promoter, Lipstick bassist and local scenester Brett Miller, he launched the first Metalfest on September 19, 1981 at Lake Hills Roller Rink/Crossroads. This landmark concert featured TKO, The Mob (featuring members of Queensryche), Babylon (featuring Geoff Tate on vocals and singing for both bands that historic night), Perennial, Open Fire, Myth, Rampage and Little Wing. The second Metalfest was held on August 29, 1982 and again TKO were the headliners - along with the first NW appearance of Portland's Wild Dogs, Culprit, Overlord, Realms, Myth (with Geoff Tate on vocals) and Kidskin. Now all of these years later NW Metalfest returns! James R. Beach and Brian Naron of the retro record label NW Metalworx Music (also soon to include a history book on the NW metal scenes) have joined forces with local musicians and concert promoters/bookers Amy Lee Carlson and Max Nazaryan (also of the band Substratum) and local scenester Michael Podrybau (also of the 80s bands Glacier and Harlot) to bring you an Annual 2-day extravganza. We're calling it NW Metalfest in the spirit of those classic concerts back in the day with Brett Miller's blessing. We hope to bring back the vibe of those exciting shows and give some attention to both the great older and newer bands in the local areas." Apologies for the extended silence. We've been hard at work this summer recording our debut LP and we only have a handful of sessions left until it is ready. We will have a host of exciting announcements very soon in this topic. Seeing as how we've been holed up in our Dungeons Of Tone™ for the past four months, we've decided to stretch our legs a bit this autumn. 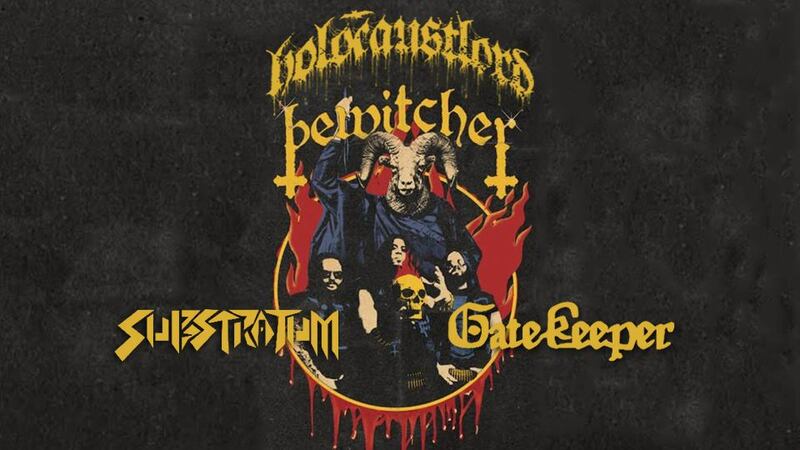 We'll play a pair of shows in with our good comrades in Substratum and Bewitcher, who are venturing forth from south of the wall for their west coast tour. This will take us to our first-ever appearance in Victoria, BC on Sept 30th and back home to Vancouver on Oct 1st. 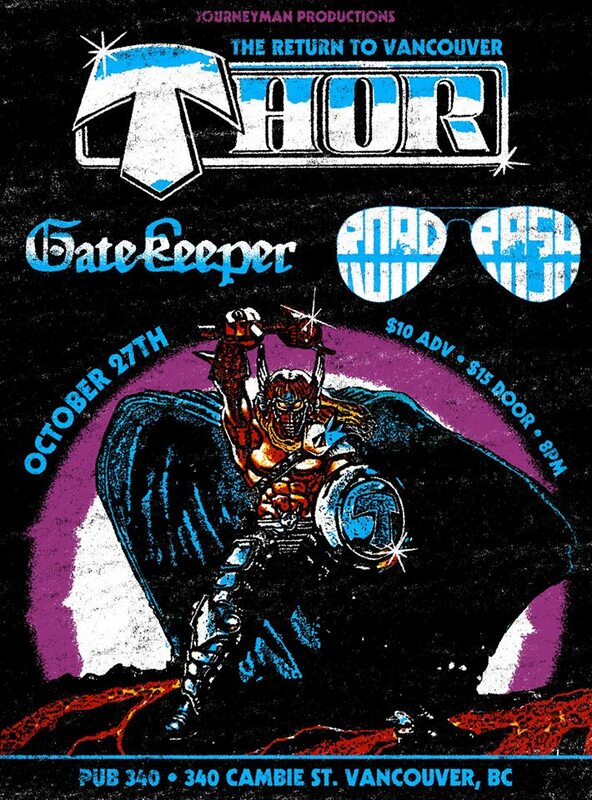 We will play our final show of the year opening for the mighty THOR on Oct 27th in Vancouver at Pub 340 with our pals in Road Rash. 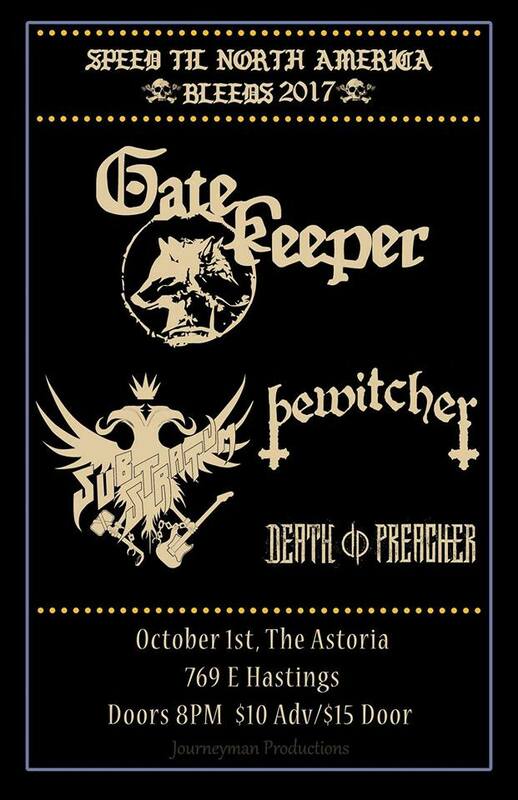 We will play a set of pure, unbridled muscle rock at this show and we are extremely excited. Please note that we will NOT be playing anymore shows after this until the new album is out. Don't miss out on the fun! Hope to see lots of familiar faces (and some unfamiliar) there. Gatekeeper. Simple theme. Powered by Blogger.